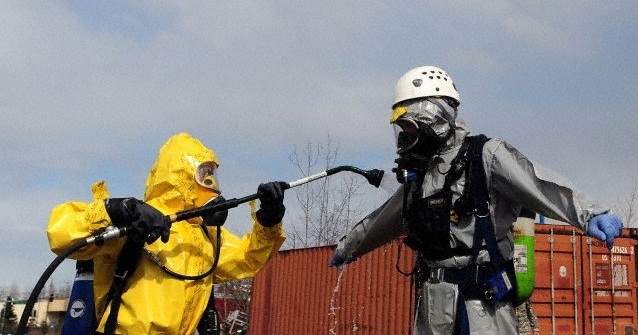 Ongoing investigations into decontamination protocol used to kill the P. Destructans, the white-nose syndrome causing fungus, have determined that the current recommendation needs to be modified. Laboratory analyses, conducted by the USFS’ Northern Research Station, found that the current recommended temperature used for the hot water treatment, 50ºC (122ºF), needs to be increased to a minimum of 60ºC (140ºF) to increase its effectiveness. Originally the hot water method to decontaminate submersible gear demanded 100ºC (212ºF) water for 20 minutes, before it was eventually relaxed. Now it seems that it was too low. Although an official decontamination protocol revision is still being reviewed and not expected to be released until sometime this summer, a note from Richard Geboy, the Midwest Regional WNS Coordinator of the US Fish & Wildlife Service, explains that submersible gear should now be treated in hot water for a minimum of 60ºC (140ºF) for 20 minutes. The remaining decontamination protocol appears to be sufficient. Ask Cavers: What are Your Best Decontamination Tips?